To ensure people with low vision or blindness are active and involved members of the community. We do this by teaching practical skills to help children and adults reach their personal development regardless of when or how they became affected by low vision or blindness. Simply place a gold coin donation towards your favoured charity*. 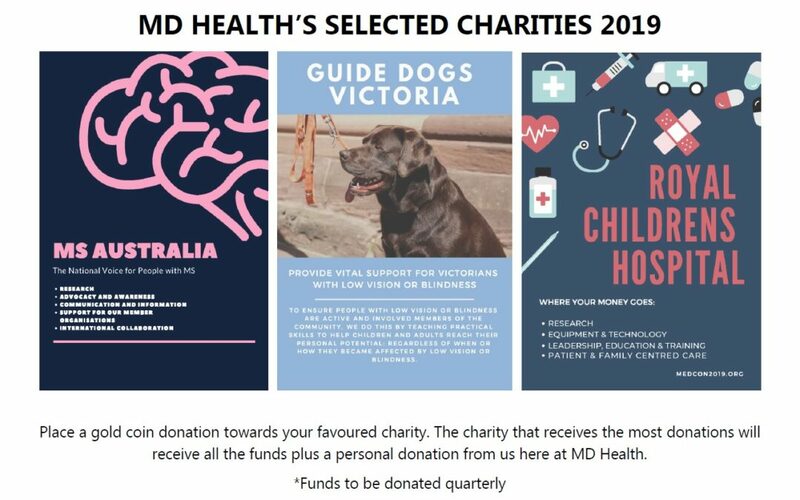 The charity with the most donations will receive all funds plus a personal donation from us here at MDH.